If your home or building is located within area considered to be at risk of subsidence, insurance can be problematic to obtain. If you have been refused home insurance due to building location, or previous subsidence, contact SIS today. 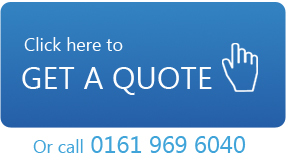 We are an experienced team of home insurance brokers, specialising in non-standard insurance cover at competitive prices. One of the main causes of subsidence is the influence of trees on clay subsoils. Movement to low rise buildings is caused mainly by the swelling and shrinking of these clay soils due to moisture extraction by tree roots. There are 226 post codes showing the presence of shrinkable clays lying south east of a line drawn across from the Humber down to the Severn. There are areas around the UK that suffer from mining subsidence. In these cases, any proven damage will be covered by the Mining Act. The best way to assess the proportion of clay minerals and the degree of water (moisture) retention within the clay is to measure the plastic index. 18 is considered low, 20-30 medium and 30-40 high. The majority of London has a plastic index of 40 or more. Other factors affecting subsidence include foundation depth, climatic conditions such as dry winters and long warm summers, and leakage from drains and water supplies. The UK is the only country in the world that includes subsidence as a standard feature in domestic home insurance. In other countries, subsidence is an expensive additional option which few customers choose to take. It has been this way since the 1970’s when mortgage lenders persuaded insurance companies to include subsidence as a non-optional item anticipating very few claims. So far, within the last 40 years, the cost of claims to insurers has risen to over £4.5 billion! It is fair to say that most home insurance providers would like exclude cover for buildings susceptible to subsidence. Many home insurance quotes become hugely inflated once the building has been deemed susceptible to subsidence. If you live in an area considered to be at risk of subsidence, or if your home or buildings have already suffered from subsidence in past, you will no doubt have experienced problems obtaining buildings insurance cover. If you have answered on an insurance proposal form that your property is not in a good state of repair or is showing signs of subsidence, you will no doubt have experienced problems obtaining buildings insurance cover. Contact SIS today, we can help.